The final production Bianchi "Dolomiti" bikes have started arriving. 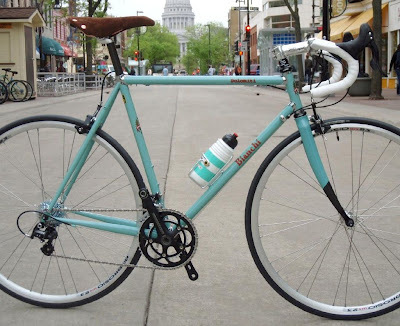 The model falls under Bianchi's new "Classica" line. Unfortunately, much of the classic content has evaporated. 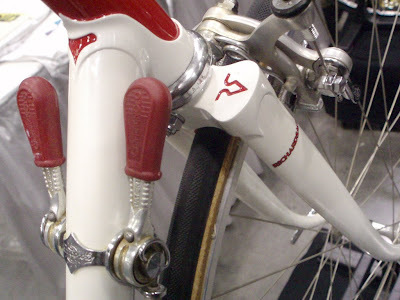 The pre-production version which appeared in shows had a steel fork to match the steel frame. The final production version now has a carbon fork. To make matters worse the carbon fork is designed for integrated headsets but has now been matched to a frame that uses a non-integrated headset. Most of the components are black, but the stem is polished alloy. The saddle is a brown San Marco Regal. Headset: FSA Orbit X 1"
Perhaps Bianchi will go back to the drawing boards and come up with another version of this bike with an appropriate fork, and the new Campagnolo ATHENA alloy group. Axevo S.r.l., an Italian conglomerate located outside Bergamo, signed an agreement Gruppo Bici N.A. 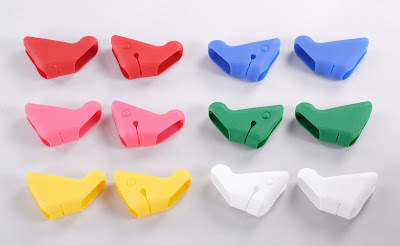 to sell their brake hoods in colors for Campagnolo. Hoods are available for Campagnolo 9, 10, and 11 speed. Gruppo Bici N.A. is offering a special introductory price ($29,95 including shipping) on all hoods through August 2009. Like To Do Your Own Thing? 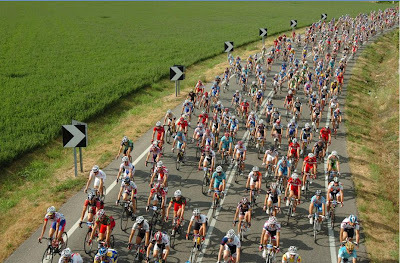 : "Italy Bike Hotels"
"Italy Bike Hotels" is a network of hotels that cater to the needs of cyclists. The network now includes hotels in 10 regions: Piedmonte, Emilia-Romagna, Liguria, Tuscany, Latium, Calabria, Abruzzi, Le Marche, and Lombardia. 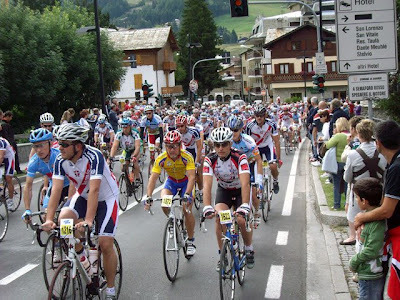 The available services available to cyclists can vary from hotel to hotel but can include such services as De Rosa bicycle rentals, organized rides with ride leaders, route maps for self-guided rides, bike storeroom with restricted access, a workshop, laundry facilities for cycling gear, medical and physiotherapeutic assistance, and pre and post-training energy menus. 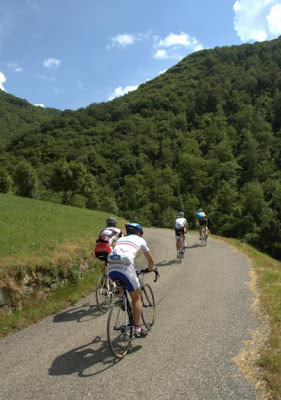 The website for the the network is http://www.italybikehotels.it/en/. Worth a visit if you like to organize your own trips. 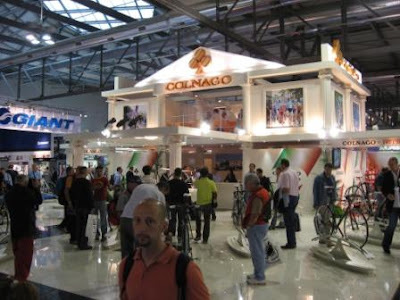 Update on: "Rumor: Campagnolo SOLD"
VICENZA, Italy - Campagnolo has not been sold and is not for sale. That’s what the renowned Italian component maker is now officially saying to all its relations throughout the world. Awards are issued for those that complete 2, 3, 4 or 5 of the climbs in one day. "As you can see from the route map (above), there are nine ways to the top! All of them are difficult, challenging, and for experienced climbers--and descenders--only. (For an extensive discussion and tips on this topic, read Climbing and Descending). 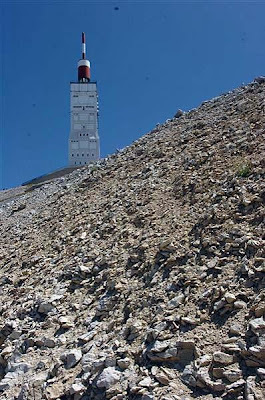 The Monte Grappa Challenge, a new event which will take place on July 19, 2009, includes 5 of them, and brevetti (certificates) will be awarded to those who complete 2, 3, 4 or all 5 of them in one day. The red route from Romano is well-traveled and there are a number of bars and restaurants along the way. The blue road from Caupo (a frazione--i.e.section, of the comune of Seren del Grappa) on the north side of the mountain, on the other hand, is lonely, atmospheric, and more beautiful. 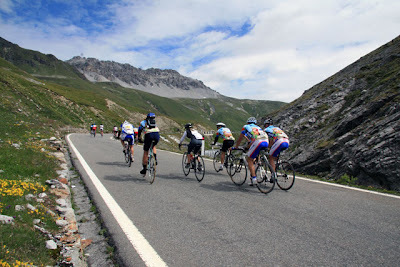 The gray route, which was paved only within recent years, has been "discovered" by climb-o-philes and is being discussed in cycling magazines such as CicloTurismo. The yellow route, from Possagno to Bocca di Forca, has been rated the third hardest climb in Italy, with an average gradient of 11.44%. 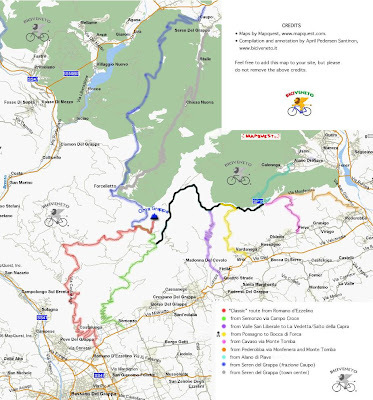 This route too, is now garnering its fair share of attention: even the Giro d'Italia commentators discussed it during a 2005 stage broadcast. 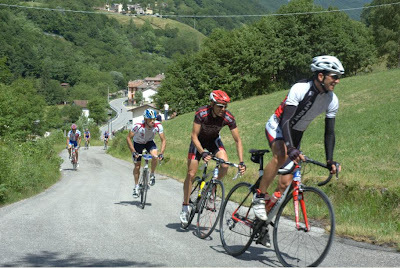 (The hardest climb in Italy is the Zoncolan, in the neighboring Friuli region). * The purple road from Valle San Liberale to La Vedetta/Salto della Capra, reopened after being cleared of a landslide, is also extremely difficult. It has attracted the attention of climb connoisseurs, and to my knowledge, has not yet been rated. 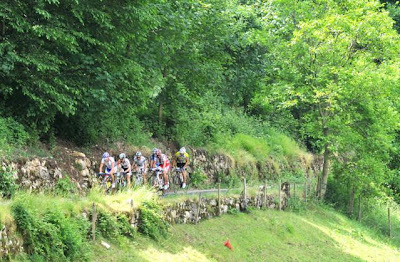 Even experienced, expert local riders advise against descending on these roads. 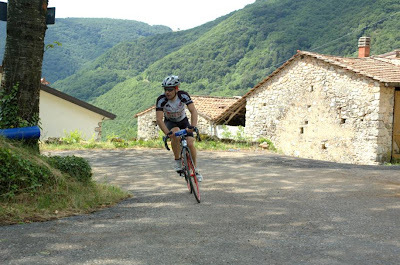 They are not only steep, but narrow, with tight, tricky hairpins--very technical and demanding. In addition, the foliage overhead creates shadows which can hide holes and rough pavement, leading to some rude surprises. These descents are definitely not fun to do. It's not a good idea to ride these roads alone. There are no houses or bars and very little traffic, so there'd be no one to help you if you should get into trouble. * (Passo Mortirolo, average gradient 10.5% - Zoncolan, 11.5%; Mortirolo, maximum gradient, 18.5% - Zoncolan, 19%). There is actually a much steeper road going up to Malga Palazzo, between Trento and Rovereto, but with some strappi (sections) measuring over 30% (!) It is virtually unrideable on a road bike, and therefore is not included in any list of climbs." See http://italiancyclingjournal.blogspot.com/2007/07/ride-of-monte-grappa-part-i.html for a previous story of Monte Grappa. 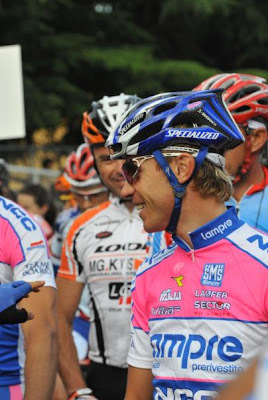 The Gran Fondo Damiano Cunego took place June 7th to a full field of 3,500 riders. Starting in Verona the routes took riders north for climbs into Erbezzo, Boscochiesanuova, Campofontana, SS Trinità and San Rocco. MASI Identification: American Or Italian? 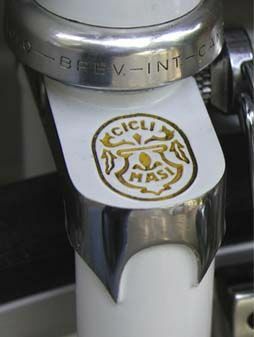 A friend of mine, Bob Hovey, has a great site (www.bhovey.com/Masi/index.html) that contains several very interesting and useful articles about MASI bicycles. The following article (last updated 2006), and photographs above, are used by permission. Let's begin by asking a another question: If an Italian builder moves to the US, begins producing his Italian bike design and outfits it with all-Italian components (except for a set of American Hunt-Wilde handlebar plugs), is it Italian or American? Let's ask another question: If the tubes are brazed in Italy and the frame is imported into the USA unpainted, then it is numbered, painted, decaled, built up and sold by Masi USA, is it an Italian bike or an American one? Whether a bike is an Italian or an American Masi is a more complex matter than knowing the country where the frame was brazed. Most often, the guiding factor is the nationality of the parent company that is selling the frame. For example, Masi USA had several models built in Italy under subcontract (not by Alberto Masi), and while that might appear to make them American bikes in name only, anyone familiar with Alberto's work would certainly deny that these bikes are Italian Masis. So what are they? These days, we seem to be able to accept the idea of US and European branded bikes built in Taiwan or China, but back in the days of lugged steel it was not an unreasonable assumption that a bike would be built in the country of origin. Masi may have been one of the first well-known instances where this was not to be so and even today the matter causes much confusion. Perhaps we should begin with the easy cases. If you own a Masi from 1972 or earlier (this would be an early Gran Criterium, Masi Special strada or pista, or a Masi Speciale Corsa) then it is Italian, end of story. If you like Masi bikes and the whole mystique of Faliero "The Tailor" Masi and the tiny shop under the Vigorelli, and you are annoyed by any trace of ambiguity, then these are the bikes for you (OK, so some of the Gran Criteriums were subcontracted to other builders, but they were all Italian and from shops in northern Italy where Faliero could keep an eye on production quality). 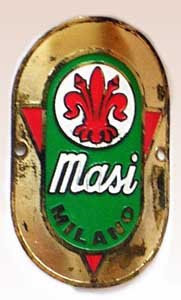 In 1973, Masi production began in the US, first under the guidance of Faliero Masi, later under Mario Confente. 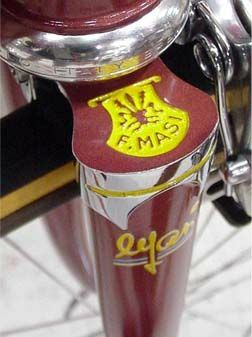 These bikes began as nearly identical reproductions of the Italian twin-plate Gran Criteriums that were being produced in Italy at the time, but while the Italian models only have a frame size stamped on the bottom bracket (with a one or two letter prefix) and perhaps a matching size stamp and date stamp on the steering tube, the US Masis were serial numbered with only a small handful of exceptions. So here's another easy case: If you find yourself in possession of a Gran Criterium with both a frame size stamp (prefix A, MC, SMC or M) and a serial number, then it is a US-built Masi. The serial number could be two, three or four digits or four digits with an A-D prefix. For more specific information on Masi USA serial numbers, go here. The third easy case is that of the Masi Prestige. This one is all-Italian. No argument there. 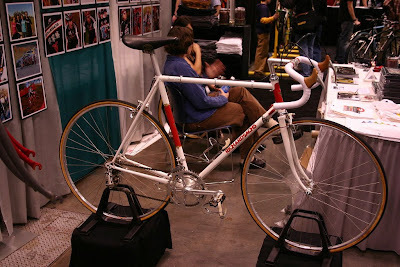 The Prestige was Alberto Masi's baby, and was not legally sold in the US (except by rare special order thru High Country Imports for a very few years in the 80's). We should note here that Alberto did market a few of his own bikes (mostly Prestiges and 3V's) in the US under the "Milano" name, a practice that still continues. 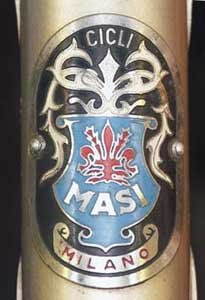 Probably identical to their Italian counterparts, the Masi name was often not seen anywhere on the bike, not even Alberto's small signature on the top tube. Another easy call: If your bike is a Team 3V, it is American. But not necessarily American built... it may have been built elsewhere under subcontract (probably by Billato or Mondonico), but it is considered a US bike. The same goes for the Gran Corsa and Nuova Strada... they were US bikes, but were never built here. They were built in Italy (again, probably by Billato or Mondonico), imported as bare frames, then numbered, painted and decaled here by Jim Allen. Finally, if it is a Gran Criterium built after 1978, it is American (many people are under the impression that the Italian Gran Criterium was quickly phased out following the introduction of the Prestige in 1974, but they were actually built in limited numbers and sold in Europe until at least 1978). Again, the American Gran Criterium's origin will be confirmed by a four digit (or four digit with an A-D prefix) serial number, in addition to the frame size stamp. After 1974, most Italian Masi Prestiges, Gran Criteriums and 3V's had two or three digit date codes (two digit year followed by one or two digit month). Some time in the 90's I believe the year and month were reversed and sometimes a day was added as well (so in this case the date code might contain as many as six digits). These date codes are usually recognizable because they were done with a smaller size stamp than the frame size stamp. Some 80's Italian bikes, mostly 3V's, do occasionally turn up with serial numbers. They are usually three digits and are in the larger sized stamp that was used to stamp the frame size. These bikes are immediately recognizable as they are about the only Masis with three sets of numbers. There is one other instance of a third number appearing on Italian Masis, most often one, but occasionally two digits. This stamp is said to be a repaint number, applied when one took the frame back to Alberto for a respray. The number is usually located on the lower drive side chainstay tang of the bottom bracket, but once in a while it is seen on the BB shell itself below the date code or frame size stamps. The 3V (Tre Volumetrica) began as Alberto's design and the first ones were probably built at the Vigorelli until sales began to outpace the capabilities of the small shop, at which time production probably moved to (or was augmented by) one or more subcontrators. The bike's growing popularity began to be felt in the US as well, but Alberto was still bound by the agreement that his father had made in 1973 (that Masi USA would retain all rights to the Masi name). But here was a bike design that was popular enough to potentially heal the rift, or to at least open the door to allow Alberto's bikes back into the US. Around 1983 or 1984, Alberto and Masi Worldwide struck a deal to allow the 3V to be sold in America. It is these mid-'80's 3V's that are probably the hardest to differentiate as being American or Italian. Sometimes there will be red, white and blue banner stripes (or US flag banner) on the seat tube (see the seat tube page of "Masi Bits") but the earliest bikes sold by Masi USA in the mid 80's looked exactly like the Italian ones. That's because at this point in Masi USA's sales agreement with Alberto, these were the same bikes from the same builder and had the same paint (often a pearl or opalescent topcoat) and decals. It is these 3V's that stretch our basic premise (that the nationality of the bike is considered to be that of the company selling it) to the breaking point... here we have two bikes, one (supposedly) American and one Italian, that are for all practical purposes identical with no real way to tell them apart. Any reasonable person would consider both bikes Italian, but some might argue that technically (or legally) they were different products. 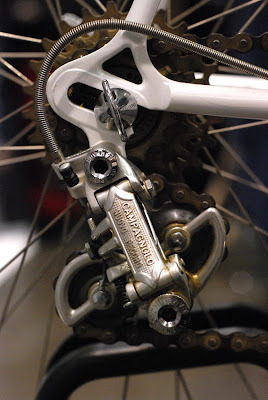 Around 1987, 3V production began in the US and these 3V's are more easily recognized by Jim Allen's Imron paint and the Campagnolo dropouts (the Italian 3V dropouts were proprietary and socketed, like the lugs) as well as the Henry James crown. Alberto's 3V's and the earlier US-marketed 3V's had Alberto's slot-shouldered crown. By the mid 90's most of the American 3V, Team 3V and Gran Criterium production went to Italian subcontractors (though a few custom orders continued to be built here, probably by Ted Kirkbride) so as with the Gran Corsa and Nuova Strada, we have a case of Italian frames that were sold as American. Some of the Team 3V's were painted in Italy with a few basic colors, but the greater majority of these frames were painted and decaled here by Jim Allen. A recent appearance of Alberto's Italian Masi in the US is the model Nuovo Prestige. This bike is brazed in Italy (with Richard Sachs' Richie-issimo lugs and a Duomo symbol on the fork crown flats), and imported painted or unpainted. They've been spotted here with "Alberto Masi" downtube decals and a "3V" head tube and seat tube badge (3V in this case refers not to the bike model but a more generic reference: "La Vera Volumetrica del Vigorelli," meaning "The true Volumetrica from the Vigorelli." These days, it is probably easier than ever to distinguish the American Masis from the Italian ones. Their logos and graphics are completely different and Alberto does not seem to be a big fan of sloping top tubes which the American bikes use almost exclusively. As for where these new Italian and American Masis are actually built... well, we'll leave that for another day. 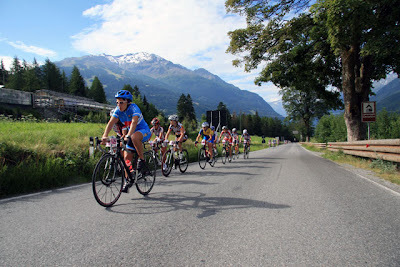 The "Mapei Day" annual event, starting in Bormio, was held on July 12th. For this event the Passo dello Stelvio, from the Bormio side, is closed is closed to motor vehicles. 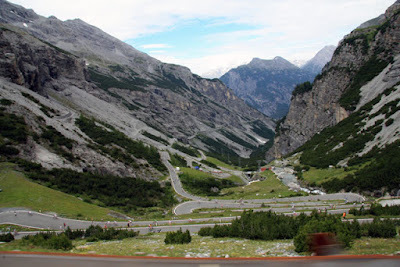 Stelvio is a monster of a climb from which ever direction it is tackled although the climb from Prato Allo Stelvio with its 48 numbered switchbacks is the most famous. 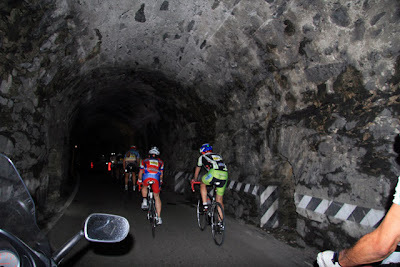 From the south it still is 19 Km of hard climbing through a few scary tunnels and numerous unnumbered turns. Search within blog for "Stelvio" for more photos and stories. Franco Pellozotti (Liquigas) finished atop the classification for the polka dot jersey with a commanding 75-point lead over Egoi Martinez (Euskatel-Euskadi). He thus met one of the goals he had established for the 2009 Tour. 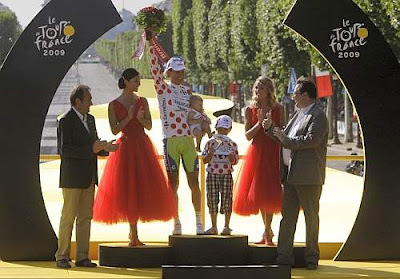 Through incessant attacking, he was also named the "most combative rider" of the 2009 Tour. 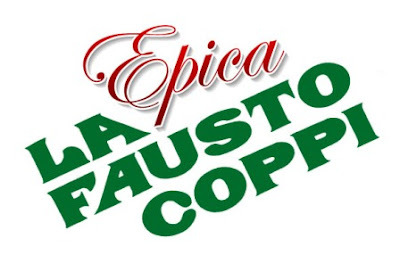 La Fausto Coppi Epica is a non-competitive event (there is no ranking published) that will replicate the Cuneo-Pinerolo stage of the Giro d'Italia from 60 years ago. The event is open to all riders carrying a licence issued by a Federation or Sport Promotion Body recognized in Italy or abroad. The route: Cuneo - Colle dell' Agnello (2744 m) - Colle dell'Izoard (2360 m) - Colle del Mongenevre (1854 m) - Sestriere (2035) - Pinerolo - Cuneo; 300 Km with 5,100 meters of climbing. Maximum time limit 20 hours. The event will begin at 2300 (11:00 p.m.) on August 29th. Lights will be checked before the start as part of the technical checks. If your lights don’t meet the requirements you will not be permitted to start the Epica. The legendary Cuneo-Pinerolo route was raced on the 17th stage of the 32nd Giro on 10 June, 1949: a truly memorable moment in the race's history. 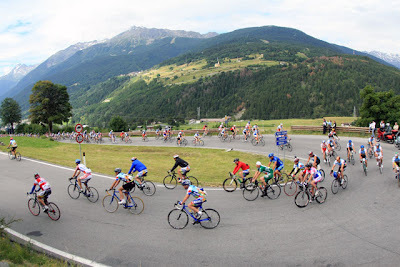 Then the course comprised five major climbs in a row through the Italo-French mountain passes: Colle della Maddalena (Col de Larche in French), Vars, Izoard, re-entry into Italy via Monginevro and, finally, Sestrière before arriving in Pinerolo. Two hundred and fifty kilometres, much of which on dirt roads as they were then. “Campionissimo” Fausto Coppi’s performance is legendary, his 190-kilometre solo ride beginning halfway up the Colle della Maddalena and concluding at the finishing line in Pinerolo. He won by 11 minutes and 52 seconds from his historic friend and rival Gino Bartali in second, with Alfredo Martini third – but first among the “mere mortals” – on 20 minutes 40 seconds. A solitary ride among the great mountains with their distinctively majestic and changeable landscapes that Coppi’s legendary performance imprinted into the history books forever. It was, and always will be, one of the great moments in cycling folklore. Stage 8, from Andalo to Riva del Garda on Lake Garda, was the final stage of the Transalp Challenge. Lukas Buchli and Thomas Stoll (BiXS iXS Pro Team) were the ones to finally triumph with a lead of 2:53 minutes in the overall ranking. The 2009 Transalp title holders mastered the total distance of 528 kilometres and 18,808 metres of elevation gain in the time of 23:42:28.6 hours. Hannes Genze and Andreas Kugler (Multivan Merida Biking Team) finished 2nd and Thomas Dietsch and Tim Boehme (Team Bulls 2) rounded out the overall podium as third. 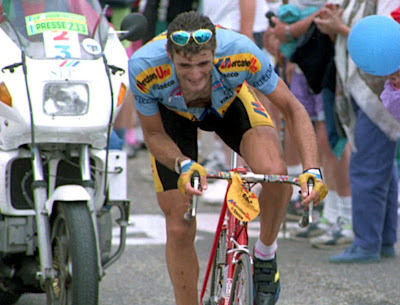 Now employed in a public relations role by Tour organizers ASO, the 193cm/6'3" tall Poli is the man who conquered the Giant of Provence en route to one of the most dramatic and unlikely Tour wins of all time in 1994. “I’d calculated that I needed 24 minutes at the foot of the climb, which meant a minute for every kilometre of climbing plus a little cushion to keep me ahead on the descent, then to Carpentras,” he recalled on Friday. 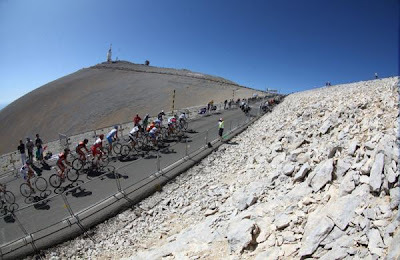 “From the summit of the Ventoux, I’d still have 40 kilometres to ride. I was pretty confident of my maths, from all the time I used to spend in the gruppetto, figuring out how much I could afford to lose to make the time limit. When, at the top of the climb, I saw that I had four and a half minutes over [Marco] Pantani, who’d attacked behind, I knew I could do it. " “I was very afraid there," he explained. "You turn out of Saint-Estève and find yourself facing what’s basically a straight ramp of 10 kilometres, rising at 10 percent. I’ll never forget it, because it was the first time in my pro career that I’d looked down at my computer on a climb and seen that my speed was in single figures. 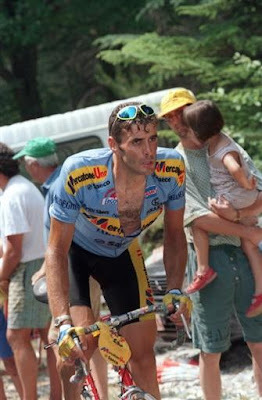 1994-Italy's Eros Poli is anything but a climber. At 1.94 meters tall and 85 kilograms Poli is one of the peloton's powerful locomotives. He is many things, but absolutely not a climber. Thus on the 231-kilometer stage over the Mount Ventoux, Poli knew his only chance would be with an early attack. So with 171 kilometers remaining, Poli took off. And under the hot Provincial sun he built up over a 20+ minute lead. His gap was large enough that he managed to make it up the 21-kilometer climb before the leaders. And after bombing down the descent to Carpentras, one of the most prestigious stage victories was his. 2009-"I dreamt of this moment last night, and to have it come true today - it's amazing," said Spain's Juan Manuel Garate (Rabobank), the first Spaniard to win on Mont Ventoux. Away in a 16-man break since the third kilometre, Garate bided his time until the lower slopes of the bald-headed mountain. Early on, he had just Tony Martin (Columbia-HTC) and Christophe Riblon (AG2R La Mondiale) for company with less than five minutes separating the trio from the groupe maillot jaune 20 kilometres from the finish. After a short dig by Garate, the three decided to work together in search of the impossible. Past the verdant tree line, Riblon had gone, leaving just Garate and Martin to ascend the six kilometres of lunar landscape, the last five straight uphill and over 1,400 metres. As the road twisted towards the summit, the German from Columbia-HTC doggedly hung on to the better-credentialed climber, nine years his senior. But as the line approached on this incessant, dog-of-a-climb, Garate gave it one last push, and it proved enough to grant him the best win of his career. Yesterday's Stage 7, the second to last stage, was not the longest one but was peppered with a lot of meters of elevation gain again due to two climbs. A total of 74.63 kilometres and 3,007 metres of elevation gain had to be conquered the course from Kaltern to Andalo. September 2 through 5, immediately after the European August holidays, the EuroBike show will take place in Friedrichshafen (http://www.eurobike-show.de/) on the German shores of Lake Constance. September 18 through 21, the 67th EICMA International Bicycle Exhibition (http://www.eicma.it/) in Milan. 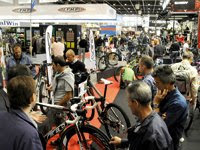 September 19 through 21, the the 2nd annual ExpoBici (http://www.expobici.it/), which will take place in Padova. "Only one iteration was ever made; no orders were accepted. All period correct parts were used to replicate how the biz and art were in the early 70s. All components were NOS (ed note: New Old Stock) and removed from original cartons for the assembly. All of the frame pieces are from the late 60s and early 70s. Mix of Columbus and Reynolds tubing, Campagnolo 1010A dropouts, Nervex Ref. 32 lugs, George Fisher fork crown and bb shell. 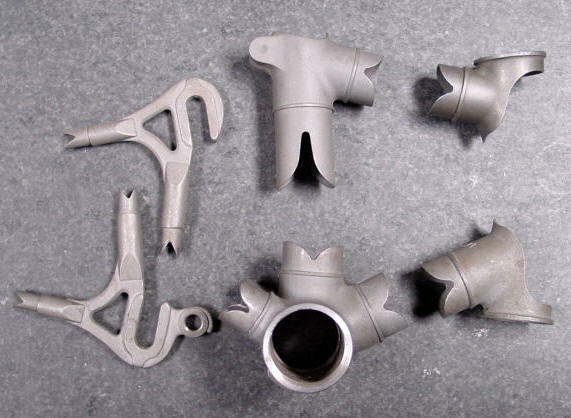 Minimum braze-ons as was correct for the era. Includes (NOS) 1972 Campagnolo Nuovo Record group, Cinelli 1A stem, old logo 'bars and saddle, Martano rims, Regina Oro 5 speed freewheel and chain, and Alfredo Binda Extra toe straps." Today's 6th stage from Sarnthein to Kaltern offered some compensation for the last two difficult days with "only" 3,173 m of climbing over 77.40 Km. The route began a mix of partly steep gravel roads and trails up to the Kreuzjoch, which provides some breathtaking views into the Dolomites and to the Ortler.